I can't even begin to count the number of times I have felt defeated in my life. So many of those times I have just wanted to give up. Throw in the towel. Call it quits. Sometimes I have, but I am not a quitter. I am one of those people that if you tell me I can't do something I just become more determined to prove I can. Some people might call me a bit stubborn, but like everyone, there are things that I am afraid of. We all know people who get up in your face to show their courage, but I find the people who are the most courageous are those that quietly continue on each day in the face of adversity. The person with a life threatening illness who continues on each day with a smile. The child who faces bullying at school, but shows up there each day anyway. The single mother who goes to bed each night worried that she can't feed her children, but finds a way each and every day. These make me feel humbled when I think of some of the things I have given up on so easily. Is it fear of failure, fear of the outcome, or is it fear of looking bad in someone else's eyes? Whatever the reason, I am determined to face each day with more and more courage. Are there things that you are afraid of? How do you find the courage to overcome them? Do you go quietly into the day facing your fears? Do you hold onto someone else for courage or do you find it on your own? 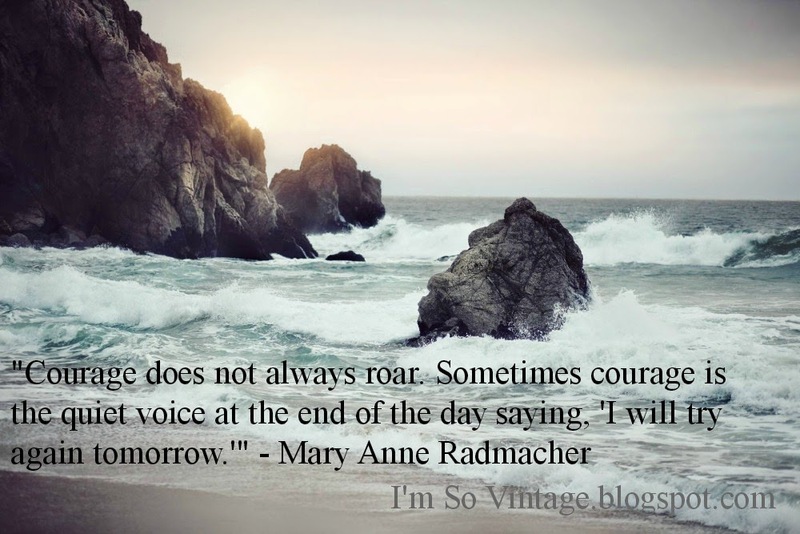 I would love to hear your thoughts on courage. Laura... I think you don't know how strong you are until you are faced with a challenge. Have a great, non-challenging day! I'm a bit like you if someone says I can't do it and I get even more determined to make sure I do it. I struggle with "fear of failure" when trying new things the last couple of years and it's something that I'm just trying to make myself get over it. Going to live overseas helped me somewhat with facing my demons. I think that courage is not an absence of fear, but of going forth and doing what needs to be done in spite of the fear. I enjoyed that first quotation, Laura. I gain strength and encouragement from your blog posts. You truly have a compassionate heart. I believe that before you can help the broken, you must have been broken. The lessons we learn in life are meant for the comfort of others. Hi Laura - I feel blessed that I had parents who told me I could do anything and I most generally, have. Having that self confidence really makes a difference I feel. I know there are so many who weren't raised like that and I admire them even more for facing their difficulties and going forward. I sometimes don't understand people's situations because I haven't been there but I try real hard to get where they are coming from. I agree, it's hard to help someone in a certain situation if you haven't been there. I feel we should all be very considerate of others - we never know what hard lessons they are going thru. I love that quote, Laura. I was more often told that I couldn't do something rather than I could when I was growing up. That along with all the other baggage I had, I was a scared little rabbit for too many years. That I was being courageous just facing and getting through each day, even though I was afraid of so many things, was something I wish I had realized back then. I look back now that I'm older, and thankfully past allowing myself to be intimidated and afraid of so much, and realize it was one step at a time, one day at a time to finding courage and overcoming those fears. I did it with a lot of prayer, so I can't say that I did it all on my own. Oh, to be sure, I still have a few fears, who doesn't it? But, now I'm able to face them and also to encourage others along the way. For me, it's all about how bad I want something. If I really want something, I'm willing to fight for it. Otherwise, I might give up. Sometimes, I gain courage after seeing someone else have courage to do something too. You know it can be contagious! First and foremost, I pray. Then I just do it. Because trying and failing is better than not trying at all. And trying and succeeding is even better! Just two words, Laura ........... begin again. 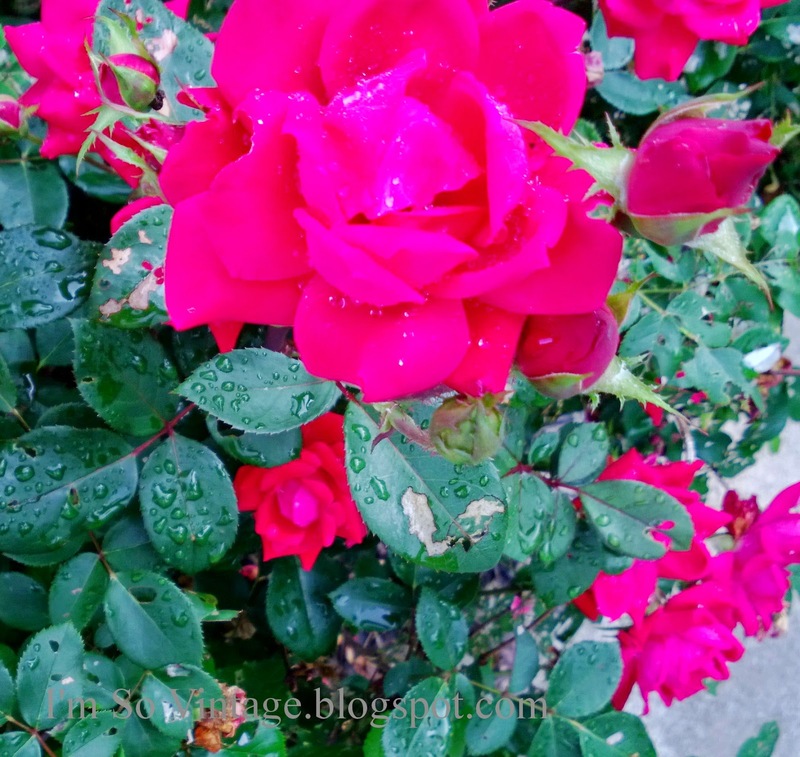 No words of wisdom from me, but I want to thank you for your lovely and encouraging blog.